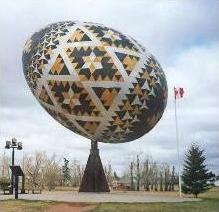 The Tenyaka Memorial of Vegreville: An Interactive Kazka (Roger Carbol; 2003; TADS 2). Download SpeedIF_Jacket_2.zip from the IF Archive. All the games entered in Speed-IF Jacket 2. The story file for this game is vegrevil.gam. The Tenyaka Memorial of Vegreville (archived) - at Baf's Guide. The Tenyaka Memorial of Vegreville - at IFDB. The Tenyaka Memorial of Vegreville - at IF Ratings. This page was last modified on 1 June 2018, at 11:32.